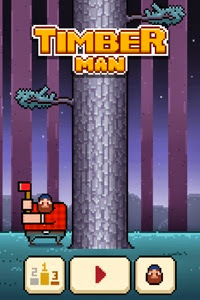 Timberman is the new Flappy Bird - at least that's what some people have been saying and despite it's "Canadian" theme it's made by Pawel Jedrysiak of Poland (where I am told it also has trees and people that cut them down) It has quite a few similarities with Flappy Bird too: a difficult game with a simple premise, leaderboards, randomly generated levels, "retro" graphics and one hit insta-deaths. 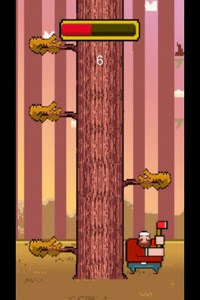 You tap the left and right sides of the screen to chop a chunk out of the infinity-tree avoiding the branches and keeping an eye on a timer. You can set your own pace but that timer can only be replenished by moving quickly so you have to choose your poison; either move fast and dangerously or carefully and run down the timer. 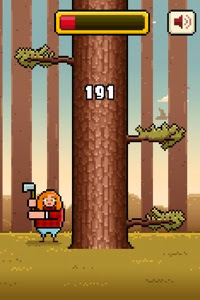 Also in the free version there are three landscapes that you chop in and after you die, as was with Flappy Bird, you are going to want to try straight away again because you were "so close" to that highscore. I wonder where the concept of the game came from and I wasn't able to find anything online. 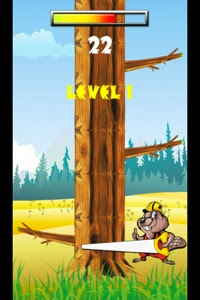 I would guess that it started with the idea of tapping left and right on the screen and having something in the middle that advanced towards the player which that player also dodged something....but why lumberjacks? I'd really like to ask Pawel about that. 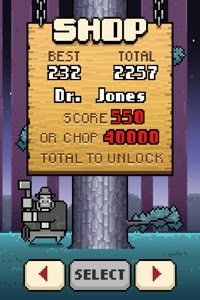 Some of the new lumberjacks can be unlocked with a highscore or simply by chopping a lot of wood; A Trapper in a racoon fur hat, Sir Tim (-ber? ), Mr.Tree (Mr.T), an indian, and a hockey player to name a few. You can unlock "Jason" of horror film fame simply by liking the game on Facebook. 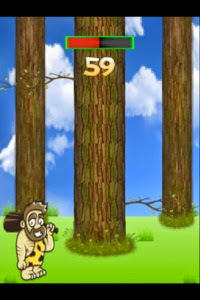 Some are far more difficult to unlock like "Mr.President" - who requires you to get the score of 600 three times in a row! 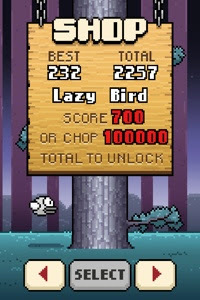 Dr.Jones is also in there (who I personally believe should be a playable character in pretty much EVERY single game) and there is an homage to the most famous of the one-button genre "Lazy Bird." 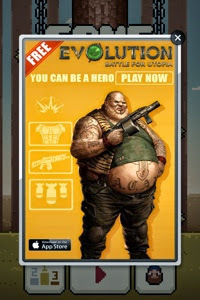 If you're game is popular you're going to get cloned and I found quite some ugly screenshots to show you just the kinds of clones that are floating around on the App store. A developer named Oliver Joyce wrote an article about making his own clone (and the nature of cloning) worth reading here. For a moment this afternoon during my lunchbreak I was tempted to buy the Gold version of this game (or at least just leave the free version on my phone, its just tiny right?) but then when I looked over at all the other icons of Flappy-esque and twitchy one-button games I have already got myself into I thought better of it. I need to stop playing time wasting games like this. 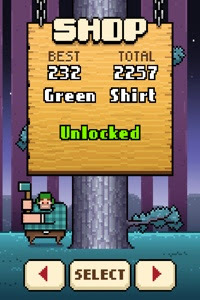 Here's a link to Timberman's official page. And another link to Pawel's company "Digital Melody".